CHANDIGARH, SEPTEMBER 22: Punjab Chief Minister Captain Amarinder Singh on Saturday hailed the Congress victory in the Zila Parishads and Block Samitis poll results as yet another endorsement of his government’s policies and programmes, and a total rejection of the Opposition’s malicious campaign against the ruling dispensation. In a statement issued here, Captain Amarinder Singh congratulated the people of Punjab for standing firm against the Opposition’s attempts to sway them, and to thwart the free and fair democratic poll process, with its cheap pressure tactics and false propaganda. The Chief Minister also lauded the State Election Commission, Civil and Police administration, and all the poll officials for ensuring smooth conduct of Zila Parishads/Block Samitis elections in a free, fair and transparent manner. Pointing out that this was the fourth consecutive humiliating defeat of the SAD-BJP combine, after back to back victories for the Congress in the State Assembly, Urban Local Bodies, Gurdaspur Parliamentary and Shahkot Assembly by-polls, the Chief Minister termed it a vindication of his party’s efforts to bring the state out of the quagmire of devastation into which it had been plunged by the previous SAD-BJP government. 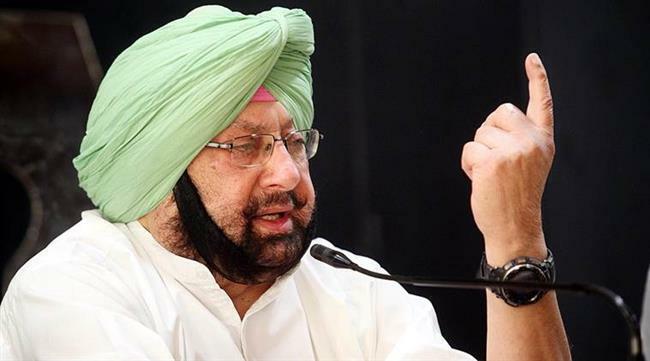 Captain Amarinder Singh trashed the Akali allegations of booth capturing by the Congress, saying that it was the SAD, on the contrary, which had stooped to all kind of hooliganism to try and derail the poll process, particularly in Sri Muktsar Sahib. He cited the video of SAD president Sukhbir Singh Badal, which had gone viral and which showed him ordering his party men to intimidate voters. These last ditch efforts by the Akalis to stall the Government’s efforts to ensure free and fair polls was a clear sign of their growing frustration and dejection over their repeated electoral defeats, Captain Amarinder Singh added. The sweeping victory of the Congress Party in these polls had once again demonstrated that sectarian politics had no place in a democratic polity, said the Chief Minister, adding that the people’s poll verdict in favour of the ruling party was a befitting lesson to the Akalis for their decade-long misrule in the state.